Makers and developers in the market for a LiDAR sensor would be interested in a new device that is launched over Kickstarter this week looking to raise $230,000 over the next 40 days to go into production. The Sweep has been designed to provide users with a scanning LiDAR sensor that is capable of providing 360 degree sensing at an affordable price and is now available to pledge for early bird backers from just $199. Created by Scanse the development team behind the sensor explain a little more about his inspiration, design and functionality. 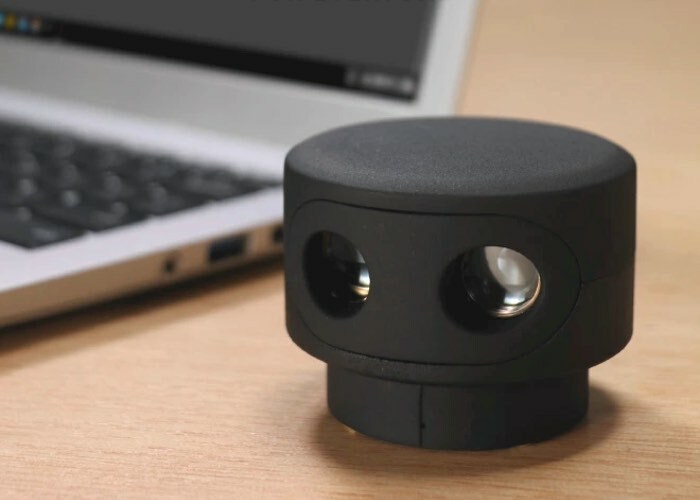 Sweep is a scanning LiDAR sensor designed to bring powerful 360 degree sensing capabilities to everyone for an affordable price. We wanted a scanning LiDAR for our projects and couldn’t find anything that was powerful enough and easy to use for a price we could afford. Comparable sensors are $1000 and up, so we set out to develop one ourselves. We’re raising money on Kickstarter to manufacture the Sweep so we can get them into the hands of makers, roboticists, drone enthusiasts, and students. We’re really excited about making scanning LiDAR available to everyone! Use Sweep for sense and avoid as well as navigation mapping. We’ll provide all the tools needed to start developing more autonomy into your drone. For more information on the new Sweep LiDAR Sensor jump over to the Kickstarter website for details and to make a pledge via the link below.